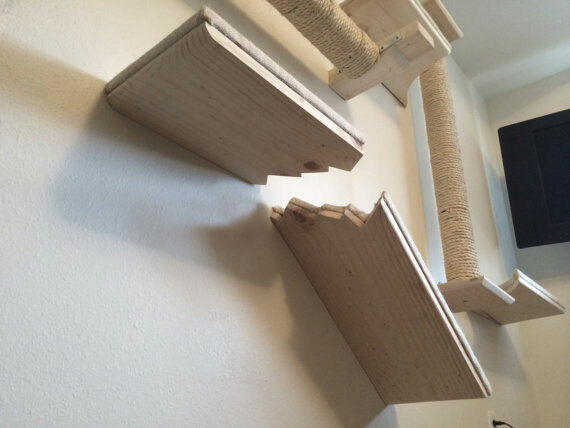 This was a set of two shelves with each cut to look like it was one big shelf that broke in half. We loved idea of having this product in the shop, but it was another item that was just a hard product to mass produce. The worst part was trying to cover the "broken" edges with fabric. We never really figured out a way to do it and have it turn out nice. 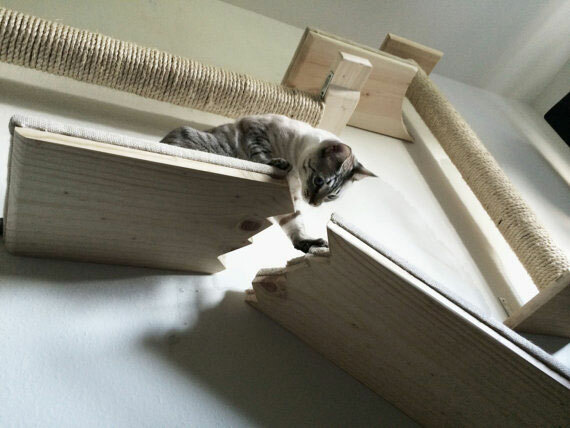 Our cats did really like this piece though. 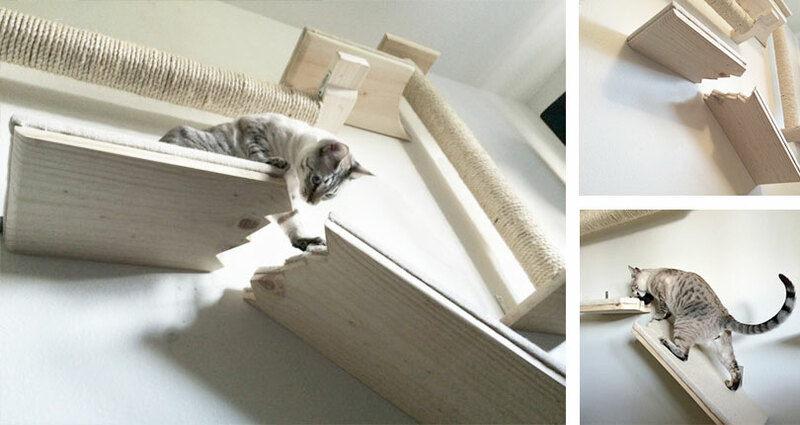 We loved that with the one shelf mounted at an angle, the cats could run up it like a ramp. It was a fun shelf.